Labour needs to do far more to address issues of disability rights and the inclusion of disabled people in society, two leading disabled academics have told a fringe meeting at the party’s annual conference. Disability rights issues were marginalised at this week’s conference, with only fleeting references to the social care crisis – including a pledge to integrate the health and social care systems – and any attention focusing only on mental health, social security and jobs. But Miro Griffiths, a researcher and teacher at John Moores University, which hosted Monday’s fringe meeting, said the party needed to examine its position on disability rights and inclusion, and ask “what does it actually mean to be included in society, to be included in our communities”. Griffiths and Dr Paul Darke, cultural critic and director of the organisation Outside Centre, decided to hold the event because of the failure to address the issues on the conference platform and through meetings on the conference fringe. Griffiths suggested that disabled people needed organisations like Momentum, the left-wing campaign set up to build on and support Corbyn’s leadership of the party, to start “opening up and being accessible to disabled people”. And he said the party needed to listen to disabled people and their user-led organisations. Darke told Labour MP Margaret Greenwood – who attended the fringe event along with shadow disabled people’s minister Debbie Abrahams – that he believed the party should appoint between 10 and 15 disabled peers who were politically and socially aware and “whose voices cannot be ignored”. Griffiths, a former project officer for the European Network on Independent Living (ENIL), said that Corbyn had the potential for “taking Labour in a new direction” and winning the support of an “untapped demographic” who have previously been non-voters “and have not been given the skills to question the marginalisation they experience”. That potential was laid out in a disability rights manifesto produced by Corbyn’s team as part of his re-election campaign, although it has not been widely circulated and is not yet Labour policy, while most of its content was ignored by the conference. Among its pledges, Corbyn’s manifesto commits to the full implementation of the UN Convention on the Rights of Persons with Disabilities, ensuring that the 12 pillars of independent living inform Labour policy-making, and developing an inclusive education system. Dave Allan, chair of Disability Labour – the network of disabled Labour party members – pointed out this week that issues of disability rights should be addressed more fully at next year’s conference, when Corbyn should have been able to fill all of his shadow ministerial posts, many of which had to be merged after he faced the string of resignations that led to him facing a leadership election. Because of those forced changes, there is currently no shadow minister for disabled people and no shadow minister for mental health, a new position Corbyn himself created. 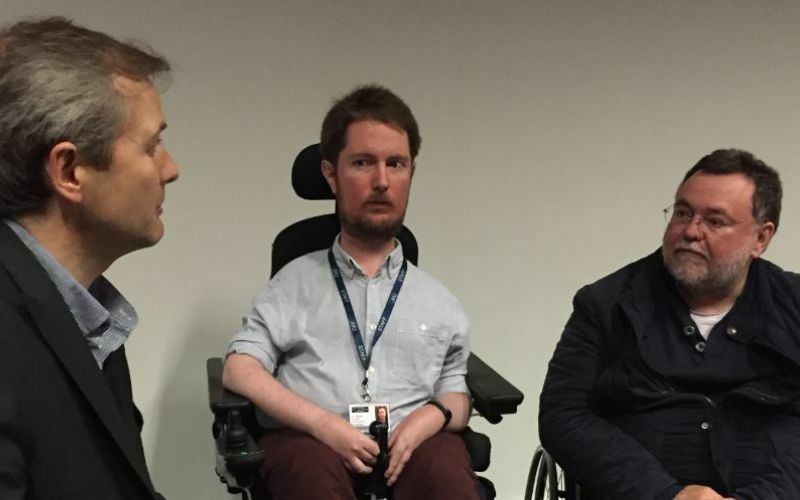 After the fringe event – which they called Disability, Social Justice and Control – Darke said that he and Griffiths had organised the meeting themselves because the issues were not being addressed at conference. He said: “If you work in a big company, you get disability equality training, but I bet the MPs don’t. “[They don’t understand] the political articulation of what disability is. They are almost incapable of escaping the notion of linking it to charity, and that is a real tragedy, a real problem with our progression. 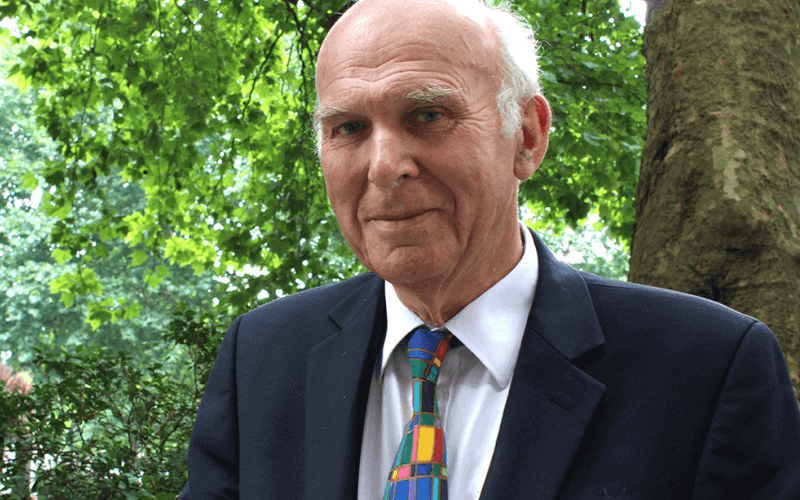 “It should be compulsory for MPs to a do a certain number of disability things at every conference, within the main conference and on the fringe. 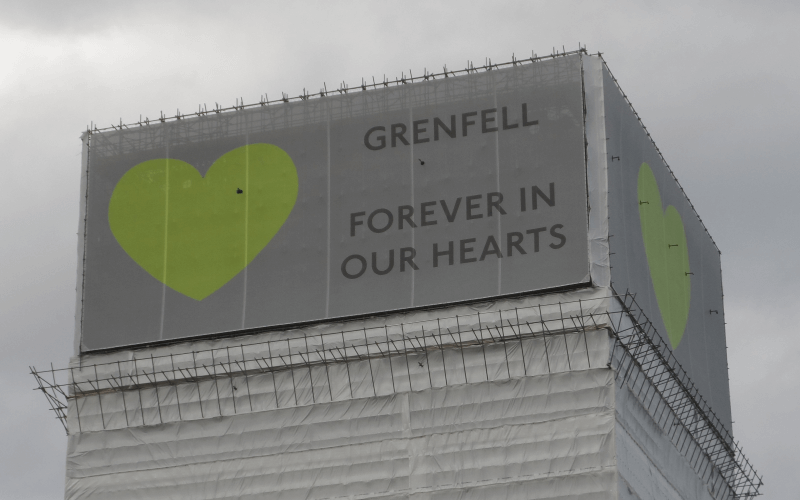 Griffiths said Labour “has not built on the important legacy that was being built by grassroots movements like Disabled People Against Cuts (DPAC)”. And he said Corbyn needed to be clear that engaging with disabled people did not mean talking to “the usual suspects” from the big disability charities, but listening to groups like DPAC and the anti-euthanasia network Not Dead Yet UK. Griffiths also called for the party to move away from the focus on vulnerability and the “tragedy” of disabled people’s lives, and instead create a foundation of human rights and social justice, allowing Corbyn to say that “this is what socialism means”.